Were you or a loved one prescribed Pradaxa in 2010 or later? If you were prescribed the blood thinner Pradaxa (dabigatran) in 2010 through October 2015, to prevent harmful blood clots or stroke, don’t hesitate to discuss your case with us. Pradaxa has been marketed by its manufacturing company as a superior alternative to warfarin, an anticoagulant drug that has been on the market for decades, because it requires less maintenance than warfarin and is designed to have fewer side effects. However, until late 2015, there was no approved antidote for Pradaxa, which means doctors were unable to reverse the blood thinning effects of the medication in the event of a serious internal bleeding complication. Have you or a loved one suffered any of the following conditions during or after Pradaxa treatment? The complication most frequently associated with Pradaxa treatment is bleeding, which can be fatal, and when bleeding occurs in the brain or central nervous system, it can be just as harmful as a stroke, which is what Pradaxa is designed to prevent. In fact, just two years after it was approved by the U.S. Food and Drug Administration (FDA), Pradaxa was blamed for more than 500 patient deaths allegedly caused by uncontrollable bleeding and hemorrhaging complications. Did a medical doctor confirm your condition or diagnosis? According to the Institute for Safe Medication Practice’s (ISMP) QuarterWatch report, Pradaxa was one of the drugs most frequently mentioned in adverse event reports submitted to the FDA in 2011. That year, QuarterWatch gathered additional side effect data from healthcare professionals, manufacturers and medical databases, and found 3,781 serious adverse events tied to Pradaxa treatment. If you or a loved one took Pradaxa, and experienced symptoms like bleeding, joint pain, coughing up blood, headaches, dizziness or unusual bruising, you should speak to a physician immediately. In addition to protecting your health and well-being, it is also important to obtain a diagnosis from a medical professional for any Pradaxa side effects because it may become necessary to provide the court with your medical records should your case go to trial. Are you currently represented by an attorney regarding this matter? When it comes to pharmaceutical drug side effects, it is extremely important to have a legal representative on your side who has experience handling product liability claims. Pradaxa maker Boehringer Ingelheim already faces thousands of drug injury lawsuits filed on behalf of consumers who believe they have been harmed by the controversial blood thinner medication. 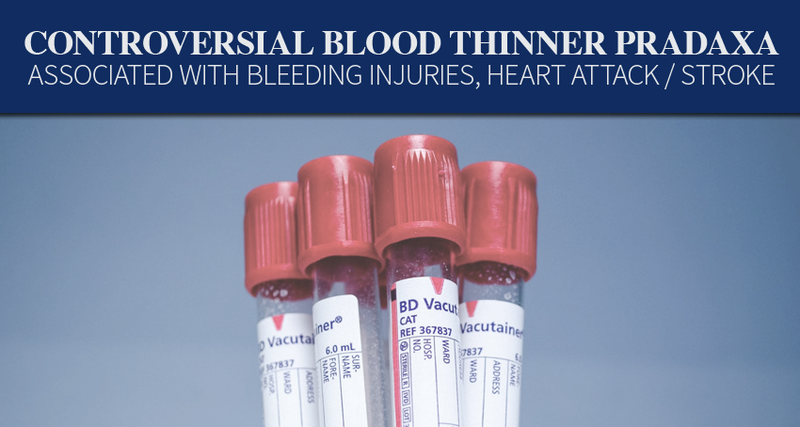 In 2014, the drug company agreed to pay $650 million to settle 4,000 state and federal lawsuits filed over complications from its blockbuster blood thinner, which the plaintiffs alleged can cause uncontrollable and potentially life-threatening bleeding events. Would you like Monroe Law Group to contact you regarding a free case review? 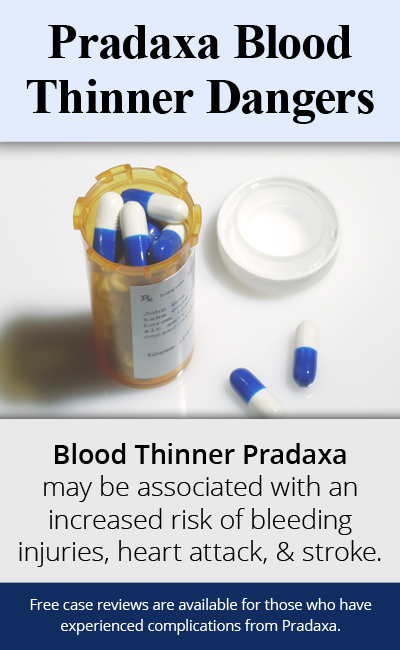 All blood thinners carry a risk of internal bleeding, but being that until October 2015, Pradaxa did not have an approved reversal agent, the risk of uncontrollable bleeding complications had been found to be much higher with Pradaxa than with older anticoagulant medications. If you or a loved one took Pradaxa in 2010 or later, and have since been diagnosed with an internal bleeding injury that required hospitalization contact Monroe Law Group today at 877-459-8260 or via the form on this page to explore your possible compensation options. With our skilled legal team on your side, you can ensure that your legal rights are protected, and seek fair and timely reimbursement for your losses.